On 2nd [Jul] the battalion relieved 58th Cdn Bn and carried out work n the Lens-Arras road until 10th [Jul] when, having been relieved by 5th Cdn Mtd Rifles, it marched to Souchez Valley bivouacking for the night and one to Zouave Valley the next day. Lt Longley was wounded on 10th [Jul] and Lieut Gregg was awarded the M.C. About this time Paris leave was given to all ranks, this was very popular and greatly relieved the congestion for English leave. On 11th [Jul] the battalion marched to Chateau de la Haie , the band and drums playing them. The usual training was carried out in rest special attention being paid to squad drill in order to teach the men steadiness. All young officers were put on the square. Concerts were given by P.P.C.L.I. concert party, boxing matched and games were held. Improvised ranges were built and musketry carried out and the whole battalion was inoculated against Typhoid. On 13th [Jul] Maj Gen Macdonell came to bid farewell to the 7th Cdn Infty Bde, his own brigade which he had raised and commanded for 19 months. 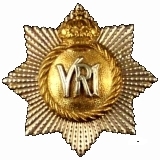 The four battalions; The R.C.R., P.P.C.L.I., 42nd Bn R.H.C. and 49th Cdn Bn (Edmonton Regt) were drawn up in a hollow square under Brig Gen Dyer, the new commander. On Gen Macdonell's arrival the brigade gathered round him. After some hesitation he said in a husky voice, "Well the old horse and I have come to say goodbye", after hestiating again he commenced in a still huskier voice his farewell address, but stopped and, after a pause (which seemed an age) he cried out, "Oh my God, I can't do it." and turned round and galloped away crying like a child. Every man present felt the parting and will remember the scene, every man who had served under Gen Macdonell can imagine it. The Brigade cheered and cheered til the "old man" was out of sight while the Band played "For He's a Jolly Good Fellow". An "order" was afterwards typed out, each copy signed personally, and sent out. On 15th [Jul] Maj Gen Lipsett and Brig Gen Dyer attended the battalion church parade and in the afternoon the 3rd Div beat 4th Div at football 13 goals to 6. On 19th [Jul] the battalion returned to Souchez Valley where it continued training, supplying work parties and "cleaning up" the Area. A week later it went to rest in Corps Reserve at Lapugnoy, marching via Villers au Bois, Chateau de la Haie, Coupigny. About this time the short history of the Regiment was written and a copy issued to every man in the Regiment. While at Lapugnoy a special platoon was organized in each battalion of the Brigade which carried out every conceivable form of training. A Brigade competition was held which the battalion won, entitling the platoon to wear the Divisional badge, a dumbbell, on the arm. This platoon became the demonstration platoon for showing any new form of tactics and training recruits. 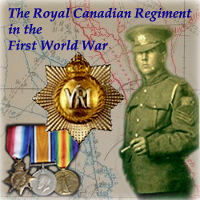 Lt Col Carpenter and Maj Bouchard joined at this time and Capt Campbell rejoined on 18th [Jul]. 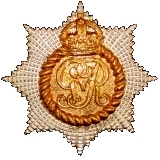 Maj E.E. Snider was appointed Town Major of Allouagne while Capt J.S. Woods, M.C., proceeded for a tour of duty with the Reserve battalion at Bramshott. On 19th [Jul] the battalion to Noeux le Mines, to Les Brebis relieving 22nd French Cdn Bn and 25th Cdn Bn (Nova Scotia Rifles) on 22nd [Jul] at the brick works north of Lens. The 29th Cdn Bn were on our right and 4th Cdn Bn on our left. On 23rd [Jul] Lt Reed joined and Capt Balders rejoined the battalion, the latter was wounded three days later. Lt England was also wounded. On 25th [Jul] battalion, having been relieved by P.P.C.L.I. was billetted in the cellars amongst the ruins of Lens and held in Brigade Reserve. Much heavy shelling took place on both sides, the enemy appearing nervous, threw many gas shells with the result that gas masks had to be worn for may hours at a time and everyone obliged to remain in gas proof dugouts for long periods. Owing [to] the difficulties experienced by carrying parties large quantities of food and water were accumulated in store. About this time Paris leave was given to all ranks, this was very popular and greatly relieved the congestion for English leave. Leave if obtained in the minimum period of 3 months seemed long enough, but when leave "stopped" at times the minimum period rapidly expanded into 9 and 12 months. This Paris leave came most opportunely as the health and morale from living long periods in damp dark dugouts was not good. On 4th [Sep] the battalion was relieved by 1st Cdn battalion and moved to Fosse to north-west of Lens, marching the following day to Petites Servins and later to Le Pendu huts near Viller au Bois. On 12th [Sep] Maj A.E. Willoughby assumed command of the battalion, Col Hill having temporarily taken over command of 3rd Canadian Division Training School. Abut this time a very interesting and important lecture was given by an officer of the Royal Flying Corps on the cooperation between the Flying Corps and the Infantry. Many misunderstandings were consequently cleared up and a fuller appreciation of the work and requirements, as well as the difficulties of the air, not realised on the ground, was grasped. Later some officers and other ranks were attached to Royal Flying Corps for few days study of the work and for the exchange of ideas. On 13th [Sep] Lt Wurtele rejoined and Lt Ballantyne wounded 3 days later. Capt F.A. Brockenshire, C.A.M.C., and Capt A.C. Campbell went to Hosital sick, the former being replaced by Capt C.G. Gunn, C.A.M.C. On 18th [Sep] the battalion proceeded by Light Railway on the Lens Arras Road to relieve 116th Cdn Bn south of Merricourt. P.P.C.L.I. were in support, 14th Bn York An Lancaster Regt were on the right and 42nd R.H.C. on the left. Much patrolling was carried out in no man's land which in this area was abut 1000 yards wide. An officers' patrol with 10 men and a Lewis Gun was sent out each night by companies in turn. Lieut Ballantyne with his patrol met a party of Germans about 50 strong apparently on a raiding expedition, he however dispersed them. On 23rd [Sep] Lt Christie was wounded. The next day the battalion was relieved by P.P.C.L.I. and went into support, going into rest the next day at Neuville St Vaast on being replaced by 42nd Bn R.H.C. At the end of the month the battalion returned to a very quiet sector on the Merricourt front relieving P.P.C.L.I..
Capt D.D. Freeze, C.A.M.C., relieved Capt Gunn, C.A.M.C., as M.O. to the battalion.